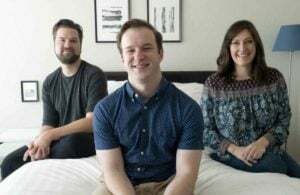 The Helix mattress protector is a comfortable and breathable fitted-style mattress protector that could be the perfect complement to a Helix mattress (or another type of mattress no more than 15” thick). 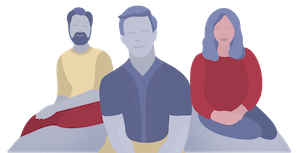 What else should you know about it? Read on for my full review. 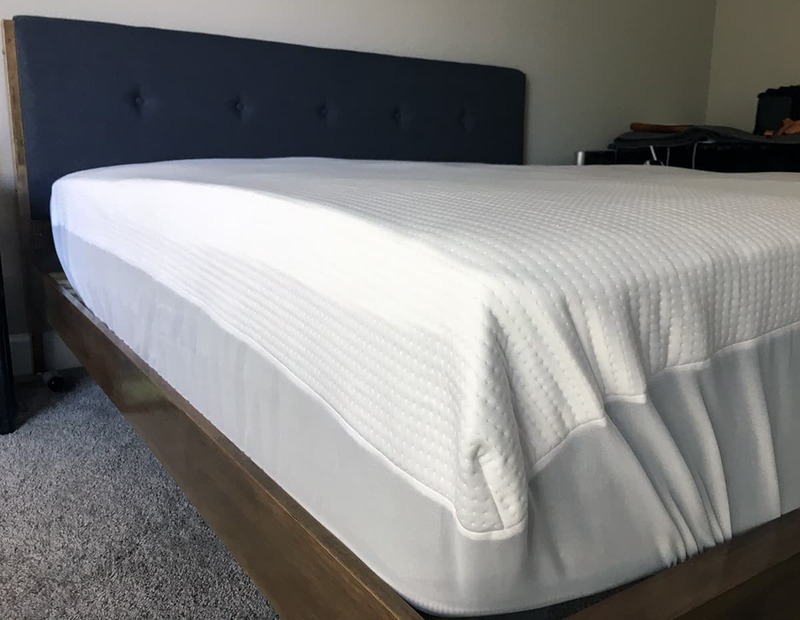 Helix says their mattress protector will fit any mattress (that’s no more than 15” deep) but it is truly designed with the Helix mattress in mind. 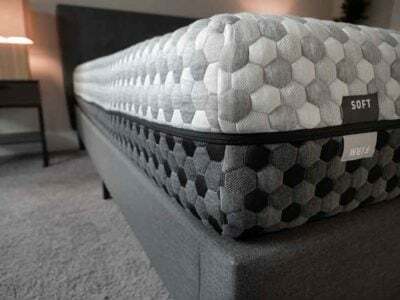 The top knit fabric is designed to mimic the fabric on top of the Helix mattress as well. 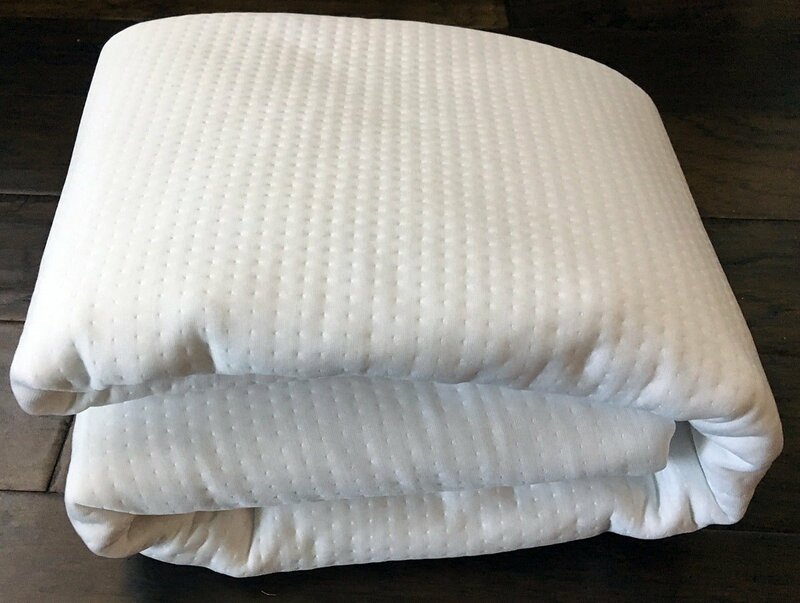 Overall, this could be a good fit for anyone looking for a fitted mattress protector that wants waterproof protection on top and a comfortable and soft cover that they can easily throw in the washing machine. Most mattress protectors these days promise to stop fluids from spills or accidents getting onto your mattress. I always like to test them out and make sure they really are waterproof. 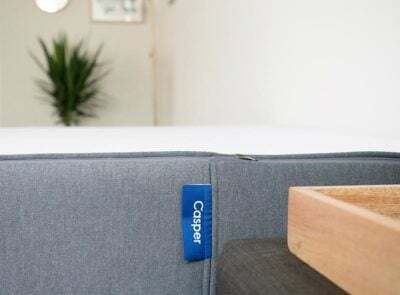 The Helix protector has a soft polyester fabric on top but right beneath that is a backing layer of 100% polyurethane that should stop water from getting through to your mattress. 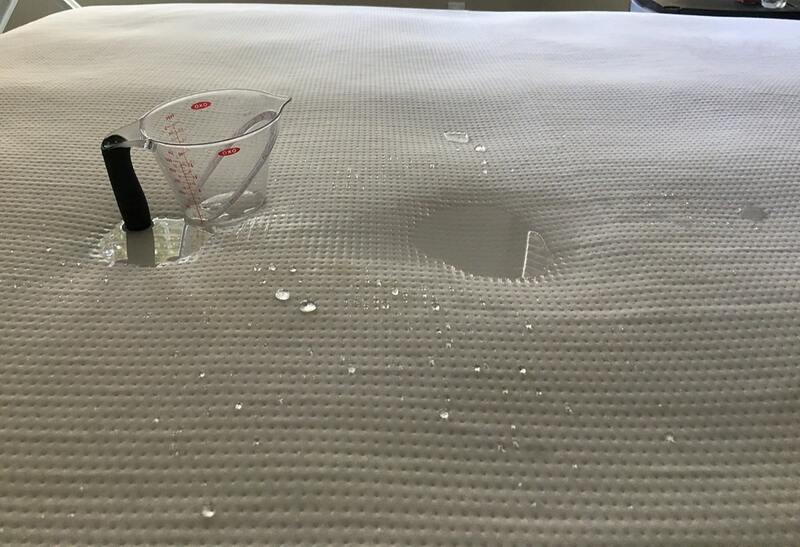 I poured 8ozs of water on top of the Helix mattress protector. The water pooled immediately but eventually soaked into the protector. I left it for a couple hours, checking occasionally – and found no leaks or dampness. Size and Noise: While the protector is designed with the 10” thick Helix mattress in mind, it actually fits mattresses up to 15” thick. This means that there may be some extra fabric around the sides of your bed if you’re using it with a mattress less than 15”. Sometimes extra fabric can lead to looseness and “noise” from the rustling of the protector against your mattress. 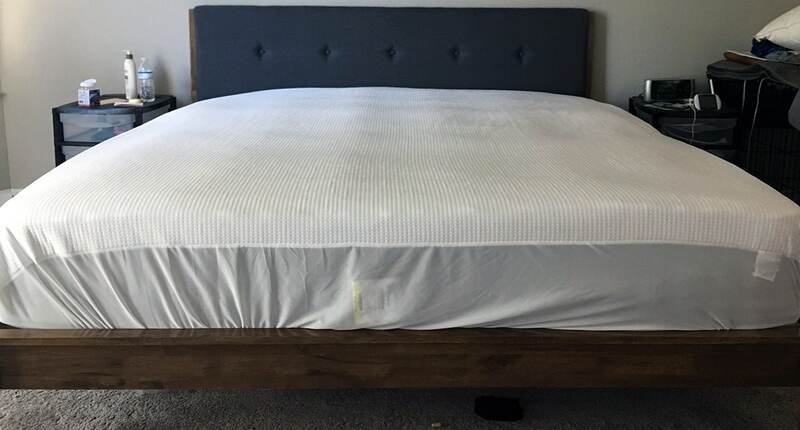 I tested the King size protector on a 12-inch mattress. I had a little bit of excess fabric but I was able to tuck it in under the bed with the elastic grip of the protector. There was a little bit of movement but for the most part, the mattress protector stayed snugly on my mattress and could barely be felt under my Bamboo Sheets Shop sheets. Breathability: The protector did a good job of breathing well. I never woke up hot or uncomfortable while I tested the protector. 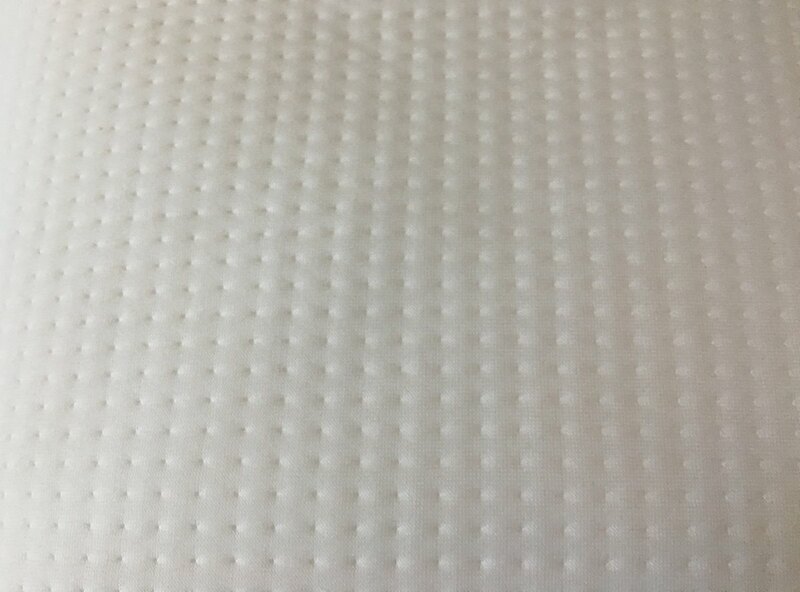 The Helix mattress protector is soft, waterproof and compatible with any mattress up to 15" thick. It fits well and can hardly be felt underneath. May not be affordable at all budget levels. On Helix’s website, the protector ranges from $75 – $99. Mattress protectors tend to vary greatly in price since there are so many types and materials you can use. At this price the Helix protector might not fit every budget but it’s not the most expensive protector I’ve seen. 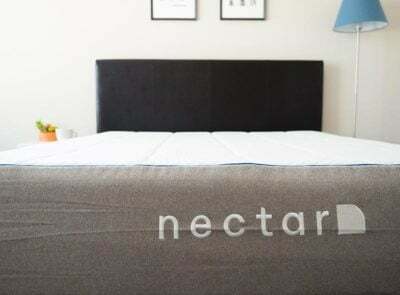 The Helix mattress protector is a solid option. 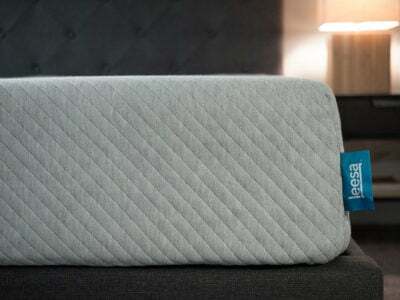 It’s thick, durable, easy to clean and goes onto most mattresses with ease. 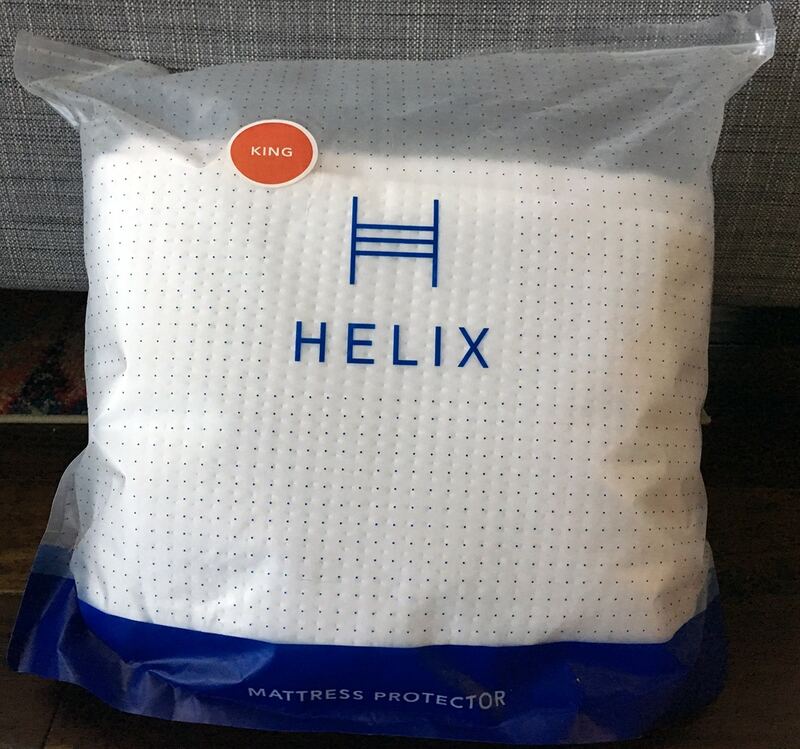 If you’re looking for a protector to complement your Helix mattress, this would be it. Other mattresses will work well with the bed and the top knit fabric makes it feel invisible underneath your sheets. 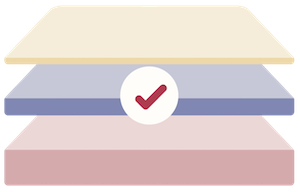 Check out other top rated mattress protectors, here.